Tune in to this weekly podcast with Dr. Robert Puff, Ph.D. to learn everything you need to know about meditation, whether you are looking to start your own personal meditation practice, have been meditating a long time, or are simply exploring the topic. 3. )Guided Meditations to listen to while you meditate. Dr. Puff shares findings from the latest medical research on meditation, showing the multitude of health and wellness benefits which are the reason so many health professionals recommend meditation. Among these benefits are potential improvements to: coronary health, sleeping habits, stress management, depression, anxiety disorders, and anger management, to name a few. Dr. 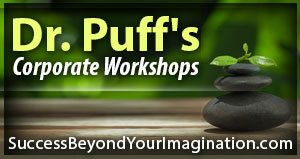 Puff shares tips on how to begin or deepen your own meditation practice. He explains the simple art of meditation, describes different techniques used around the world, and helps you to find what works for you. Dr. Puff draws on his own personal experience of 30 years of meditating. Guided Meditations by Dr. Puff featuring their calm, soothing voices, gently lead you through actual meditations you can use to relax, quiet your mind, or improve areas that you would like to change about your own thinking or behavior. These episodes are great because they take you from just reading or hearing about meditation to actually practicing it for yourself! The Meditation for Health Podcast offers quick visits to the world of meditation that inform, guide, and inspire you to implement meditation as part of your daily routine. So come along with Dr. Puff on this journey of possibility and experience the serenity that meditation can bring to your life.